I am often asked what book I recommend for someone brand new to Buddhism. I always say that it depends on why the person is interested - I will recommend different books depending on whether someone is interested primarily in meditation, the Buddha himself, Buddhism as a philosophy, or Buddhism as a spiritual foundation. For someone interested in living Buddhism - attempting to practice its foundation teachings in daily life - Allan Lokos' Pocket Peace: Effective Practices for Enlightened Living is my new favorite recommendation. Allan Lokos leads the Community Meditation Center in NYC, and is a former Broadway performer. 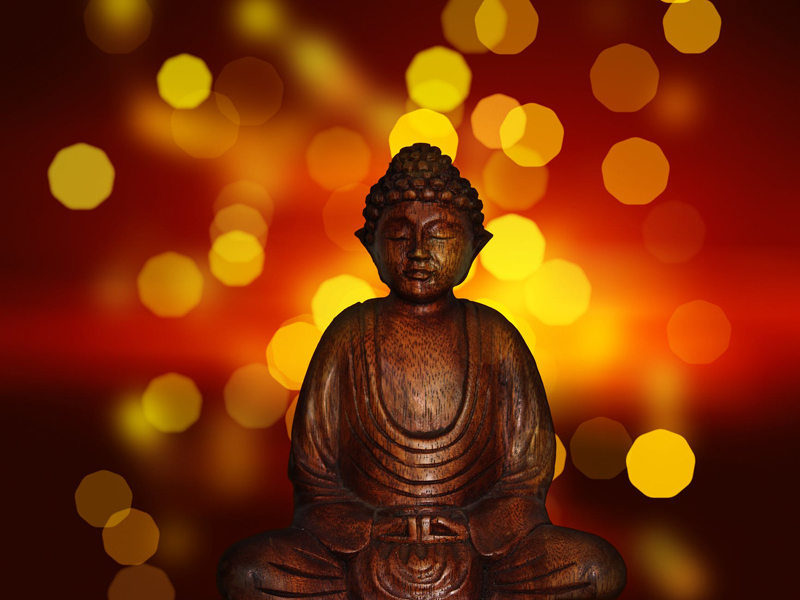 He has studied Buddhism extensively with many of today's foremost teachers, but is also an ordained interfaith minister, and so has a very inter-spiritual approach to Buddhism. I think this will appeal to many people who want to draw on Buddhism, but are not necessarily interested in identifying themselves as Buddhist. Although, that being said, I think this is a lovely book for committed Buddhist as well. In Pocket Peace, Lokos focuses on the ten paramitas, or ten perfections, of Buddhism. These are the 10 virtues Buddhists are encouraged to consciously cultivate in thought, word, and deed, as part of their practice. Lokos devotes one chapter to each one, which he translates as generosity, morality, relinquishing, wisdom, joyous effort, patience, truthfulness, determination, lovingkindness, and equanimity. "When you touch the phone, about to make a call or send a text message, ask yourself, What is my intention? As you are about to enter a meeting, ask yourself, What is my intention?" In total, there are 50+ practices described. Lokos writes in an engaging, accessible style, sharing many personal stories from his own life to elucidate each of the paramitas and the pocket practices. Some of these stories are very NY-centric perhaps, a reflection of Lokos' fairly unique NY life, but they are truthful and heartfelt, so I feel anyone will be able to relate to them. All in all, this is a great book for anyone new to Buddhism who wants to approach it from a down-to-earth, daily perspective. It is also good for those not so new to Buddhism, who need some new ideas or a new way of looking at their daily lives as practice.